A blog about running and food. And running FOR food. Bread, bread, bread. Oh, keto/lchf, you have done so much for me, but your bread game is sorely lacking. Or so I thought. Then I found Carrie Brown and her cheddar chive biscuits. Um, yes, thank you, Carrie. And after a few very happy batches of her savory, bready (yes, actual bread-ness) creations, it was time to go off-road. I’m a huge fan of parmesan. I add it to soups, stocks, salads, meats – basically, anything that calls for a salty cheesy punch in the chops. I also wanted a denser bread option to be able to dunk into stews or slice and use for sandwiches. Tweaking the original recipe did just that. 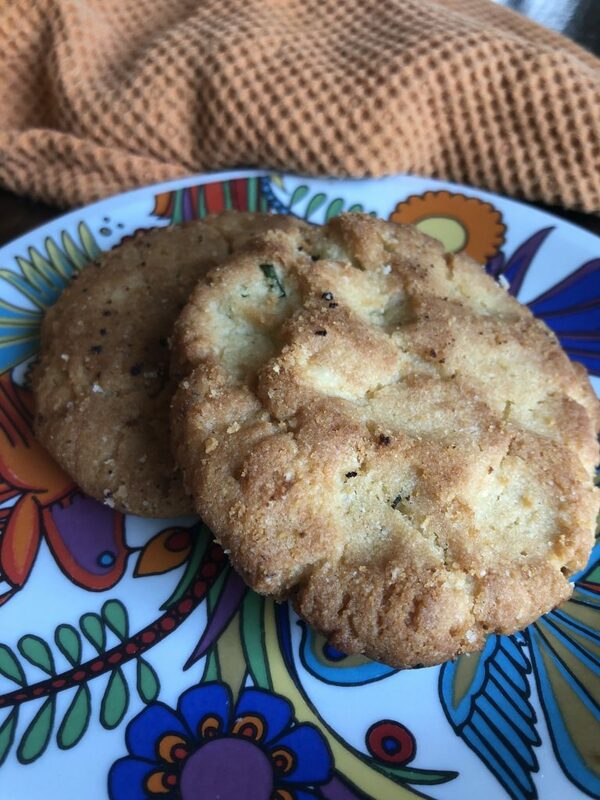 It also made it the perfect dough for miniature versions that can be used as parmesan chive canapes, like a cheese straw or base for some roasted tomato jam. These come together pretty easily, and are best served a few minutes out of the oven, but don’t be afraid to put the leftovers in the fridge and reheat in the toaster if you don’t eat them all the first go-round. Tim and I polished off six in one sitting the first time I made them, but I’m guessing you have more restraint than we do. But, if you don’t, I won’t tell. Preheat oven to 350 degrees with the rack in the center. Line a baking sheet (or 2 if you don’t want to reuse a sheet) with parchment paper. In a food processor, pulse together the 3 1/2 cups of almond flour, baking soda, baking powder, and xanthan gum. Add the cold butter and pulse again until you get a bread crumb consistency. Do not overmix. In a large bowl, lightly beat the egg. Add the sour cream and water and mix until blended. Add the mixture from the food process, and just combine. Add the chives and parmesan, and lightly mix – just enough to form a dough that will hold together. If it is loose, add a little more almond flour. You want a soft, supple dough. Turn onto a clean surface covered with a sprinkling of almond. Knead gently until the dough is smooth and cohesive – about 8 to 10 turns. Roll out into an inch thick sheet, cutting into triangles or squares. Alternatively, drop and flatten 2 inch balls of dough if you prefer a more rustic look. Bake for 1o minutes, turning halfway through. Check at 10 minutes and continue baking until a light, golden brown, up to 15 minutes. Do not over bake. 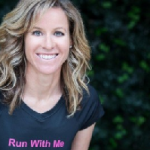 Mom, ultrarunner, four-time US 24 Hour National Team member, adventure athlete, food writer. Graduate of the Pro Cooking Program at the New School of Cooking, Los Angeles. Will run for food.